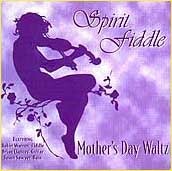 An eclectic mix dedicated to our parents, who introduced both of us to the love of music. Includes our Over the Rainbow, some guitar solo, and a tasteful toy piano. Click here for more information and a list of tunes. Fast and slow, French, Texan, Canadian, Shetland, and a 2-fiddle Lorena. Click here for more information and a list of tunes. 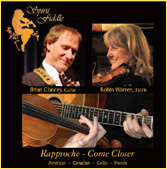 Fast and slow, with a Celtic flair, but also French, Canadian, and swing. Includes the beautiful Rugged Cross. Click here for more information and a list of tunes. 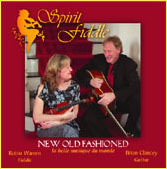 Bluegrass, swing, American, Canadian, Old World and New, sweet waltzes, and triple guitar in Home on the Range. Click here for more information and a list of tunes. 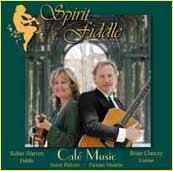 Our first CD with French musette included, no fast tunes here. Our most requested Ashokan Farewell is on this album (as well as our least requested Polka Chinoise). Click here for more information and a list of tunes. 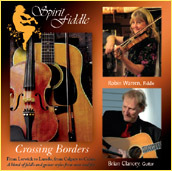 A collection of fast and slow tunes, Canadian and American, ending with Happy Trails. Click here for more information and a list of tunes. Cassette or CD - Listen to Excerpts! 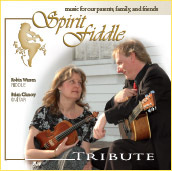 A collection of fiddle waltzes and slow tunes, including our version of Amazing Grace. Click here for more information and a list of tunes.